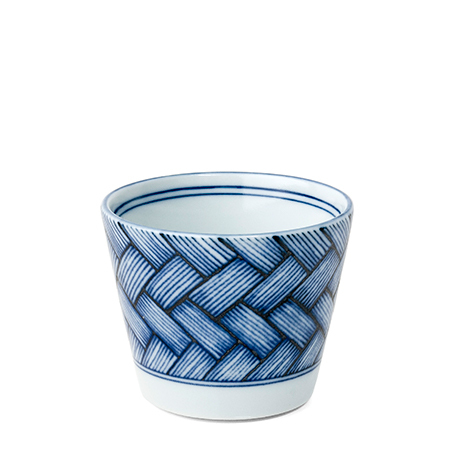 Miya Company - Ajiromon Blue and White Basketweave Design Collection Made in Japan Available At Miya. The Ajiromon Collection features a beautiful basketweave pattern in the popular blue and white color scheme. Modern, traditional, contemporary, rustic... It has it all! 2.5" h, 5 oz. capacity.